Dr. Izzeldin Abuelaish - now known simply as the "Gaza doctor" - captured hearts and headlines around the world in the aftermath of horrific tragedy: On January 16, 2009, Israeli shells hit his home in the Gaza Strip, killing three of his daughters and his niece. By turns inspiring and heart-breaking, hopeful and horrifying, I Shall Not Hate is Izzeldin Abuelaish's account of an extraordinary life. A Harvard-trained Palestinian doctor who was born and raised in the Jabalia refugee camp in the Gaza Strip and "who has devoted his life to medicine and reconciliation between Israelis and Palestinians" (New York Times), Abuelaish has been crossing the lines in the sand that divide Israelis and Palestinians for most of his life - as a physician who treats patients on both sides of the line, as a humanitarian who sees the need for improved health and education for women as the way forward in the Middle East. And, most recently, as the father whose daughters were killed by Israeli soldiers on January 16, 2009, during Israel's incursion into the Gaza Strip. His response to this tragedy made news and won him humanitarian awards around the world. Instead of seeking revenge or sinking into hatred, Abuelaish called for the people in the region to start talking to each other. His deepest hope is that his daughters will be "the last sacrifice on the road to peace between Palestinians and Israelis." It was as close to heaven and as far from hell as I could get that day, an isolated stretch of beach just two and a half miles from the misery of Gaza City, where waves roll up on the shore as if to wash away yesterday and leave a fresh start for tomorrow. 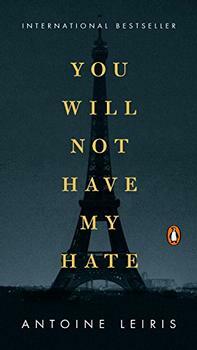 I Shall Not Hate is without doubt a book with a powerful message. Dr. Izzeldin Abuelaish's thesis is clear and runs through every chapter of the book. Violence is futile, he writes. It is a waste of time, lives, and resources, and has been proven only to beget more violence. It does not work. He emphasizes the need for those in conflict to talk to, listen to, and respect each other, and it is to these themes that the author returns again and again. While his arguments are aimed squarely at the Israelis and Palestinians, their underlying truth is universal. (Reviewed by Kim Kovacs). Starred Review. Abuelaish knows anger, but in this impassioned, committed attempt to show the reader life on the sliver of land that is Gaza, he demonstrates that 'anger is not the same as hate'. One of the most affecting [books] I have read on the subject of Israel and Palestine... His story is important not only for its message of peace, but for the fact that it personalizes the Palestinian experience. This story is a necessary lesson against hatred and revenge. In this book, Doctor Abuelaish has expressed a remarkable commitment to forgiveness and reconciliation that describes the foundation for a permanent peace in the Holy Land. 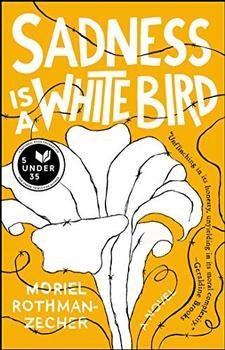 I enjoyed reading this book, because his feelings and thoughts are clear not having any hate towards anyone. The Gaza Strip is the smaller of the two Palestinian territories (the West Bank being the larger). It is bordered by the Mediterranean Sea on the east, and by Egypt in the southwest, with Israel surrounding it on all other sides. It is just 25 miles long and 7.5 miles across at its widest (map). This narrow strip of land is home to approximately 1.6 million people who are mostly Sunni Muslim. While the population is highly literate (92% of residents can read), over two-thirds are considered refugees, unemployment is approximately 40% (2010), and about 70% live below the poverty line (2009).